Apple Butter French Toast for breakfast on Christmas morning is one of our family’s favorite traditions. When gluten had to be removed from my daughter’s diet, my initial plan was to substitute a gluten-free pancake served with apple butter and cream cheese. My daughter wanted to experiment with a gluten-free alternative for the same toast instead. This recipe is the result of her experimenting. Mix together the eggs, juice, milk and vanilla. Coat both sides of each slice of bread with the egg mixture. Add coconut oil to a skillet or griddle. When the surface reaches about 325°, lay the bread in and pour more of the egg mixture over it. Cook until golden brown, then turn the bread over to brown the other side. Top with apple butter and/or cream cheese if desired and enjoy with maple syrup or honey. I started my usual Christmas baking today. Since this time last year, one of my children has learned that eating even one bite of gluten is extremely hazardous to her health. Today I realized that ALL of our go-to recipes for Christmas delicacies include gluten. And I know from past experience that just substituting gluten-free flour for all-purpose does NOT necessarily yield a great result. Mix all the ingredients until a thick dough is formed. Drop on baking sheet in generous tablespoon-sized blobs. Bake at 350° for 12 minutes. 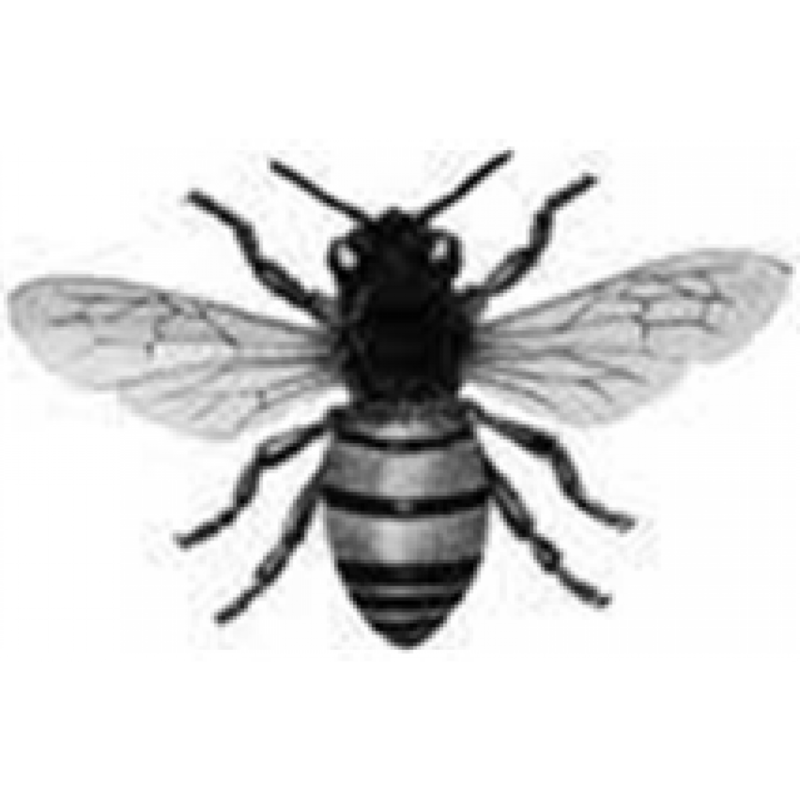 I made mine with orange essential oil and dried cherries, and, true to their name, they are incredibly delicious! I then turned my efforts to our traditional sugar cookie recipe and was very pleased with the outcome! Cream together 1 stick of butter, 1/3 cup sugar and 1egg. Add 1 tsp. vanilla extract. Gradually add 1 1/2 cups of almond flour and mix thoroughly. And, finally, what to do about our family favorite, Apple Butter French Toast?? As a substitute for the French bread stuffed with a mixture of apple butter and cream cheese, I’ve decided to serve a gluten-free pancake and an apple butter/cream cheese spread. Here’s my favorite gluten-free pancake recipe. I hope my family will enjoy these seasonal substitutions. If you have other tried and true gluten-free recipes for seasonal favorites, please share! I promised my husband last year that I would bake a peach pie any time we had access to fresh peaches. We had two pies last year, baked from a recipe my mother-in-law copied from an old edition of Farm Wife News. Farm Wife News was revamped and renamed Country Woman in 1987, so this recipe has been around a long time. Credit for the “Colorado Peach Cream Pie” recipe goes to a Ruth Andrews. If you happen to know her or her descendants, please pass on our thanks! This year, we’ve had fresh peaches two weeks in a row, thanks to Helena Market Days. I decided to tweak the tried-and-true recipe to produce a gluten-free, sugar-free peach dessert that was still delicious. Last week’s crust held together beautifully; this week’s didn’t and the result was more like a cobbler than a pie. Both, however, tasted delicious, so I’m calling them equally successful. Here’s my new recipe. The flour ingredient determines the quality of the crust, so feel free to substitute your favorite to produce the crust you desire. Crust: Cut butter into flour and salt. Press dough into 9-inch pie pan. Filling: Slice peaches into a bowl; sprinkle with 1/4 c. xylitol. Let stand while preparing rest of filling. Combine 3/4 c. xylitol, flour, egg, salt and vanilla. Fold in sour cream. Stir into peaches. Pour into crust. Bake 15 minutes at 400°. Reset oven to 350° and bake another 20 minutes. To prepare the topping, combine all ingredients until crumbly. Sprinkle the crumbs of the topping evenly over the top of the pie or around the edge. Bake the pie another 10 minutes at 400°. 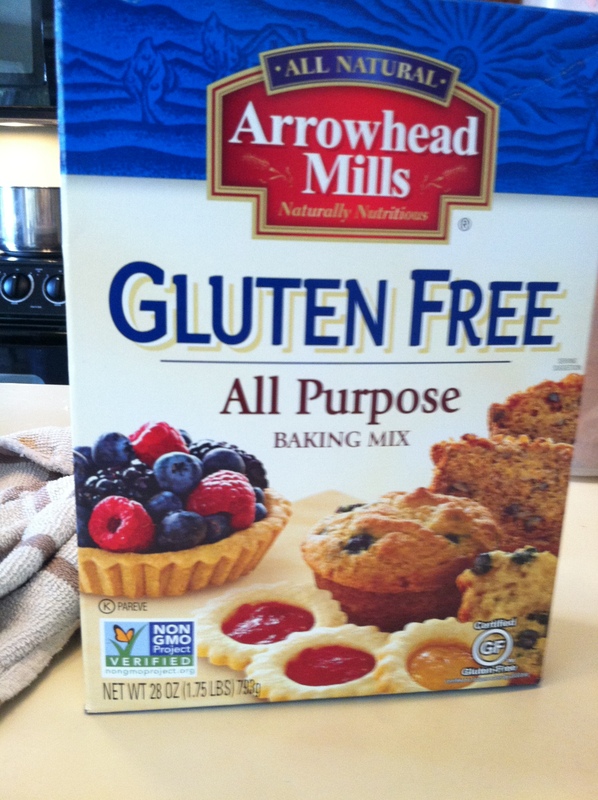 *Arrowhead Mills Gluten-Free All-Purpose Baking Mix produced a firm crust. King Arthur Gluten-Free All-Purpose Baking Mix produced a less firm, more crumbly crust. You know what they say about financial investments? “Past performance is no guarantee of future results.” I’m pretty sure that applies here, too! Add sliced squash to small amount of boiling water. Cover. When water returns to boiling, lower heat and cook until tender. Drain thoroughly and mash. In a medium bowl, mix together all other ingredients. Combine with squash and mix well. Pour into a greased 1-quart casserole. Bake at 400° for 25 minutes or until casserole is slightly browned. *You can use any bread crumbs you have on hand, of course, but this is the ingredient that determines the texture of the casserole. The 4C brand bread crumbs yield a creamy casserole, unlike my usual dressing-like dish baked with regular bread crumbs. Experiment! I hope you enjoy yours as much as we enjoyed ours this week! And, now three months later, I’m here to tell you that it is possible to make delicious macaroni and cheese that is also gluten-free! 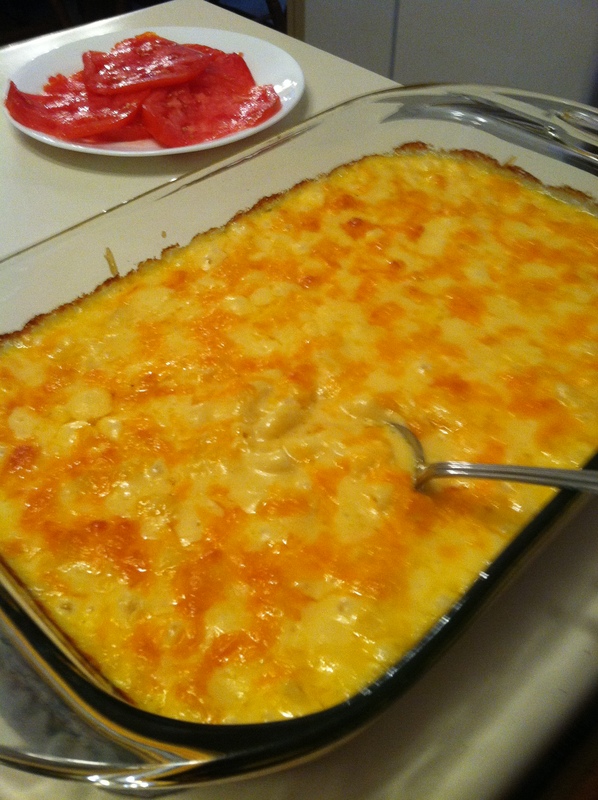 I served this recently to my family who LOVES Grandma’s Macaroni and Cheese, and they loved it! Some of them didn’t even notice any difference. One that noticed said the cheese sauce was even better than it usually is! Now, that’s success! Cook macaroni in boiling, salted water until tender; drain. Melt butter; blend in flour. Add milk. Cook and stir until thick. Add salt, pepper and 2 cups of cheese; stir until cheese is melted. Mix sauce with macaroni. Turn into 1 1/2 quart casserole dish. Sprinkle top with remaining cheese. Bake at 350° for about 45 minutes, until macaroni and cheese is bubbly and browned. Here’s a recipe for banana bread that is both healthy AND delicious. Is it possible? Can gluten-free, sugar-free banana bread actually taste good? YES! We cooked this for breakfast this morning, and it really was delicious! Preheat oven to 350º. Blend all ingredients together and mix well. Pour batter into a greased loaf pan (or 3 small loaf pans). Bake for 45-55 minutes (30-35 minutes for small pans), until an inserted toothpick comes out clean. Gluten-Free Cooking: Two Failures and One Success! My experiment with homemade biscuits using the gluten-free all-purpose baking mix didn’t turn out so well. I’ve tried them twice now. The first time, I used my tried and true biscuit recipe substituting the mix for the flour. The biscuits were edible, but they were not pretty and they were very dry and crumbly. I tried again, adding more butter and flour, with only slightly better results. In case you’re wondering, the failures were too awful to be photographed! Cook on low temp., covered, until firm (about 10 minutes). Flip out on to a baking sheet and top with your favorite cheeses and meats/veggies. Broil, just until melted and bubbly. What’s for breakfast? Cereal? Toast? Biscuits? Muffins? What do all of these breakfast foods have in common? They’re all grains that contain gluten. I can’t say that I have a totally gluten-free diet these days, but I’m definitely cutting back. I learned from Nourishing Traditions that all grains contain phytic acid. Phytic acid is an organic acid in which phosphorus is bound, and it’s in the outer layer or bran of every grain. Untreated phytic acid can combine with the minerals in our food–important things like calcium, magnesium and iron–and keep them from being absorbed by our bodies. This is why a diet that’s high in whole grains may lead to serious mineral deficiencies and eventually bone loss. Bone loss. I took notice of that and decided it was time to pay attention to food that is actually robbing my bones of the nutrients they need. Preheat oven to 350º. Sift baking mix, baking powder, baking soda, and salt together, and set aside. In a separate bowl, mix melted butter, milk/vinegar, sugar, and eggs together. Add flour blend in three stages and whisk well after each addition. Fold in blueberries. Pour batter into lined muffin tins. Bake 18-20 minutes or until inserted toothpick comes out clean. I made a delicious strawberry smoothie to go along with my muffins. I added Knox Gelatin to my usual smoothie after a friend gave me the idea. Gelatin is very similar to the collagen in our bodies that makes up the connective tissues, including cartilage. Eating gelatin supplies the body with the materials it needs to produce new cartilage. That’s good news for arthritis sufferers and for those attempting to have healthy bones.